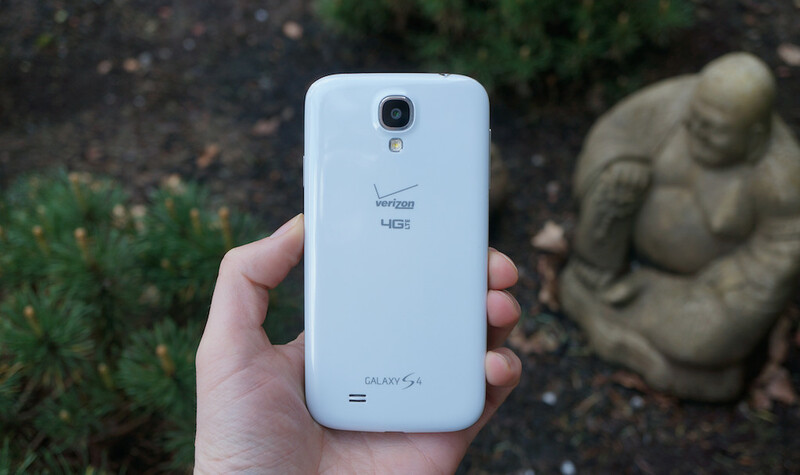 A new update for the Samsung Galaxy S4 on Verizon has been approved for rollout as build VRUFNG6. The update includes Samsung’s Knox 2.0 for enterprise, Kids Mode controls, a renaming of Isis Mobile wallet to Softcard, and a bunch of bug fixes like better connectivity with Bluetooth. And yep, that’s pretty much it. We haven’t heard from any readers yet who have received the update, so the rollout may be slow. Well, either that or no one is excited enough to tip us off to it. 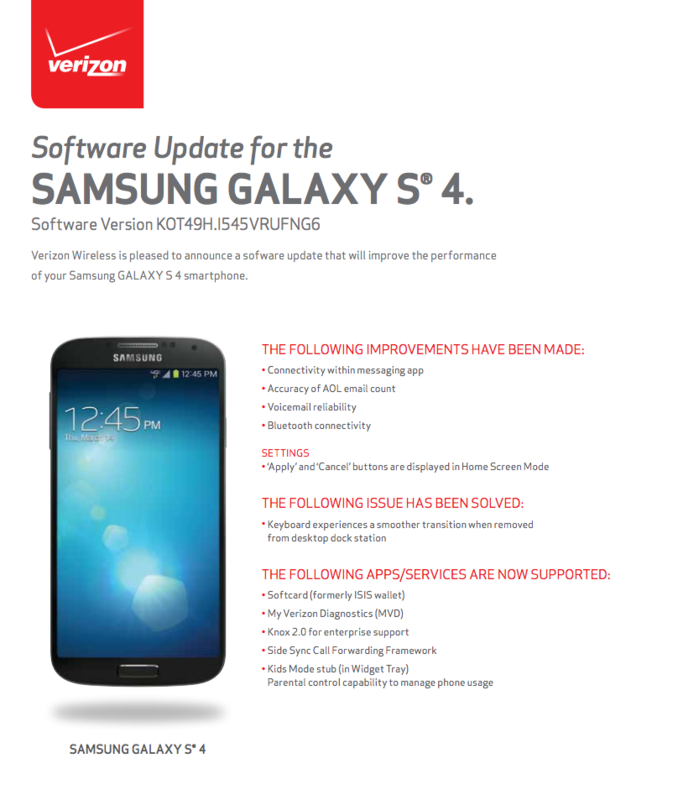 To check for the update, head into Settings>About phone>Software updates>Check for updates.